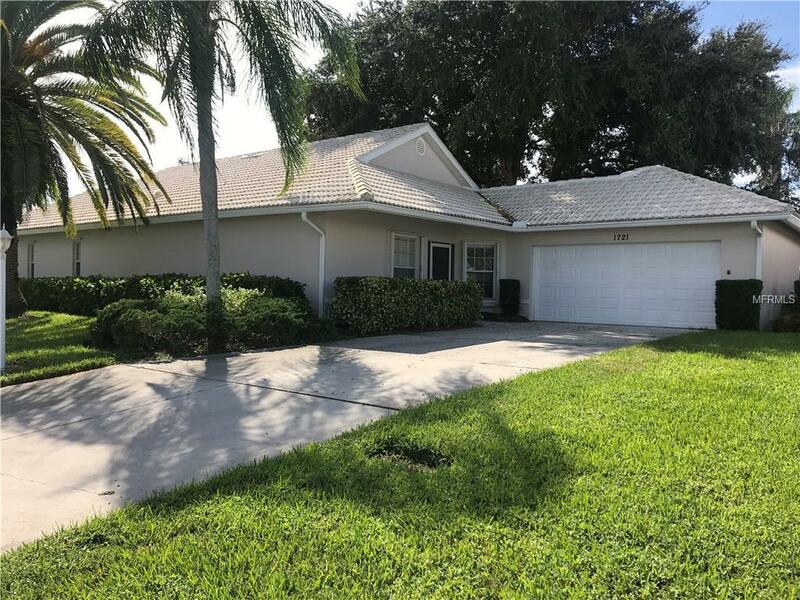 Light, bright and spacious, two bedroom, two bath, plus den, home in maintenance free section of Wesley Place located in the Waterford Golf community. The home features expansive and relaxing water views. The interior features a kitchen with a Generous eating space. Split bedroom floor plan. Den/office off the living room or kitchen. Combination living and dining room area. Large Porch with tranquil water views under the shade of a great oak tree. Master bedroom is generous size and boasts a huge walk in closet. Shower and separate tub in master bath. With his and hers split sinks. Second bedroom also has a walk in closet. Guest bath has shower stall. Minutes away from the Waterford Sports Club, featuring a large heated pool and spa, fitness room, community center and tennis courts. Golf club membership is optional to the 27 holes of championship golf at Waterford Golf Club. Close to beaches, downtown Venice, with fine dining, theater, Center for Performing Arts, etc. This house will allow you to update to your taste and be your perfect and right home. Dont wait, come take a look, water views are rarely available in this community.